This article provides only a suggested form of installing Jolt hardware. If you are unsure about something, consult someone who would know more about installing hardware. 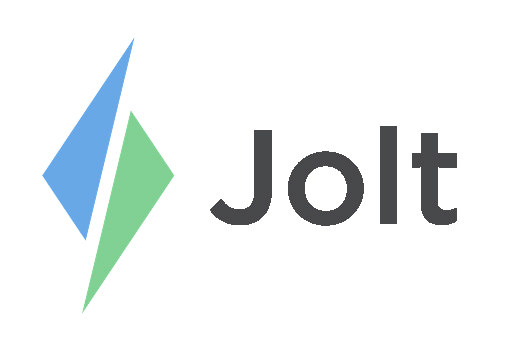 ▢ Jolt is not responsible or liable for any injuries or damage that may occur during install. ▢ Before installation ensure there are not any electrical, water, etc. lines or anything else that could be damaged in the wall. ▢ Be attentive of sharp corners and edges. There are two ways to install the printer shelf, one by screwing it directly into a stud or anchoring it to the drywall. 1. To mount the stud, use the stud finder and mark the center of the stud, at the desired height. 2. With the printer shelf line up two holes with the center of the stud. Use a level to ensure the shelf is even. 3. With a pencil, mark all four holes. 4. Using a power drill and the appropriate size drill bit, drill two pilot holes into the stud. 5. Using a power drill and the appropriate size drill bit, drill two holes where the anchors will be placed. 6. Hammer the anchors into the non studded holes. Ensure the anchors are flat with the wall. 7. Match the holes with the shelf, drive the screws into the holes. 8. Place the printer on the shelf and then feed the power cord up through the bottom hole. 9. Place extra labels on the side for convenience. 1. Use the stud finder to avoid hitting a stud. 2. With the printer shelf and level line up and mark all four holes. 3. Using a power drill and the appropriate size drill bit, drill four holes where the anchors will be placed. 4. Hammer the anchors into the non studded holes, the anchors must be flat with the wall. 5. With the newly drilled holes match the shelf, then with the drill drive the screws into the holes. 6. Place the printer on the shelf and then feed the power cord up through the bottom hole. 7. Place extra labels on the side for convenience.